CVS bans cigarettes, but will others follow? CVS Caremark says it hopes it is "setting an example" by declaring that it will stop selling cigarettes at its more than 7,600 retail pharmacies. Whether the move will have an impact on other retailers remains an open question. CVS announced Wednesday that it will be the first major pharmacy chain to take the products off its shelves. The company said the move makes sense. 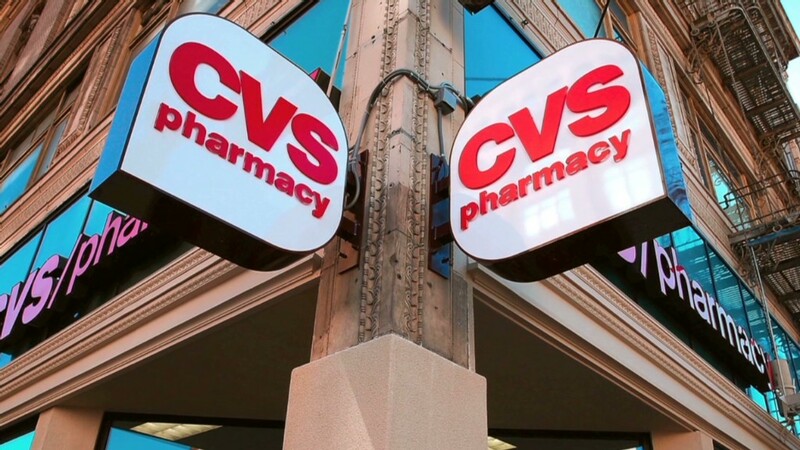 CVS (CVS) estimates it will lose about $2 billion in annual revenues. That is a fraction of its overall business, which is also increasingly providing health care services like walk-in clinics and prescription drug coverage. CVS took in nearly $94 billion in revenue in the first nine months of 2013, up slightly from the same period in 2012, according to its most recent filing. In 2012, it reported $123 billion in revenues, a 15% jump from the previous year. One of CVS' main competitors, Walgreens (WAG), which also operates the Duane Reade chain, said only that it has been evaluating its sale of tobacco products "for some time" and will continue to do so. And Rite-Aid said it "continually" looks at whether its offerings meet "the needs and interests of its customers." Both chains noted that they offer products aimed at helping people stop smoking. The CVS move could boost cigarette sales at other outlets, analysts said. Two big discount retailers, Dollar General (DG) and Family Dollar, (FDO) have both recently added tobacco products to their shelves. In December, Dollar General said that selling cigarettes and other products had helped drive in-store traffic and boost overall sales in the third quarter. According to 2011 stats from the U.S. Centers for Disease Control and Prevention, an estimated 43.8 million people, or 19% of all adults, smoke cigarettes. The agency noted a "slight overall decline" between 2005 and 2011. It said more than 293 billion cigarettes were purchased nationwide that year. The medical community and anti-smoking advocates have successfully lobbied for laws in a number of cities, including San Francisco and Boston, banning tobacco sales by pharmacies. "We think that the CVS announcement sends a powerful message that if you're in the business of health care you shouldn't be in the business of selling tobacco products," said Vince Willmore, spokesman for the Campaign for Tobacco-Free Kids. Still, customers have plenty of other outlets. According to consumer research firm EuroMonitor International, 3.6% of all cigarette sales in the United States are made in drug stores and nearly half occur at stores associated with gas stations. Another 16% of sales are at stand-alone convenience stores like a 7-Eleven. For retailers, tobacco products typically have far lower profit margins than other items, such as prepared foods or beverages. But they help drive store traffic, industry analysts say. On average, tobacco products account for 40% of sales at stand-alone and gas station convenience stores, according to the National Association of Convenience Stores. Yet tobacco products make up only 21% of profits. Anti-smoking advocates remain hopeful the CVS decision will spark a ripple effect. "We hope it will encourage other retailers to decide whether a responsible company should be selling a uniquely lethal product like tobacco," Willmore said. --CNNMoney's Aaron Smith and CNN's Amanda Hobor contributed to this report.